For a number of years we’ve been investing a great deal of time and money improving our products and facilities. Whether that be through sourcing the best raw materials, purchasing new machinery or building our own testing equipment to name but a few. It had become apparent that our old logo and website were no longer adequately representing our modern and quality driven approach to spring manufacturing. As the Leading UK Manufacturer of furniture springs, it was important to us that the new logo and website were able to convey the company’s scale and professionalism, as well as our continued focus on quality and service. For the new brand identity, we decided to return to traditional ‘Wade’ blue which has been used extensively throughout the company’s 95 year history. Not wanting to be too tame we also incorporated bright turquoise, giving everything a more modern and quality feel. Though the new ‘W’ Wade icon alludes to our biggest selling Zig Zag spring the branding is less product specific than before, highlighting the fact the we are no one trick pony and can provide all furniture spring requirements. as well as highlighting new areas such as ‘Quality & Testing’, ‘Production & Engineering’, ‘Our Team’ and ‘Sustainability’. We’ve also added the ‘News’ section to our website. Aimed at providing better communication with customers, suppliers and others in the furniture trade. 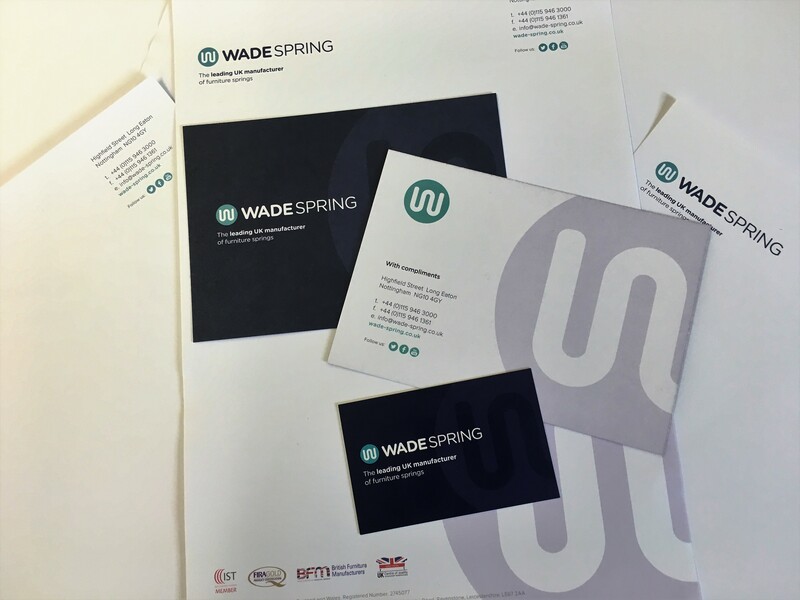 We look forward to keeping you up to date with all the happenings here at Wade Spring.